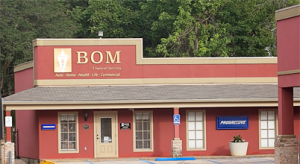 BOM Financial Services offers a wide array of insurance products provided by many of the top rated companies that we represent insuring you or your business with the best coverage at the best price. Our agents live in and are involved with your community, which helps us to better understand your needs. BOM Financial Services is a wholly owned subsidiary of BOM. Not a deposit, not FDIC insured, not insured by any federal government agency, not guaranteed by “the bank” or “the savings association”, may go down in value (applies to insurance product or annuities that involve investment risk), insurance agent may be employed by “the bank” or “the savings association”, the insurance company, and not “the bank” or “the savings association,” is underwriting the insurance product.